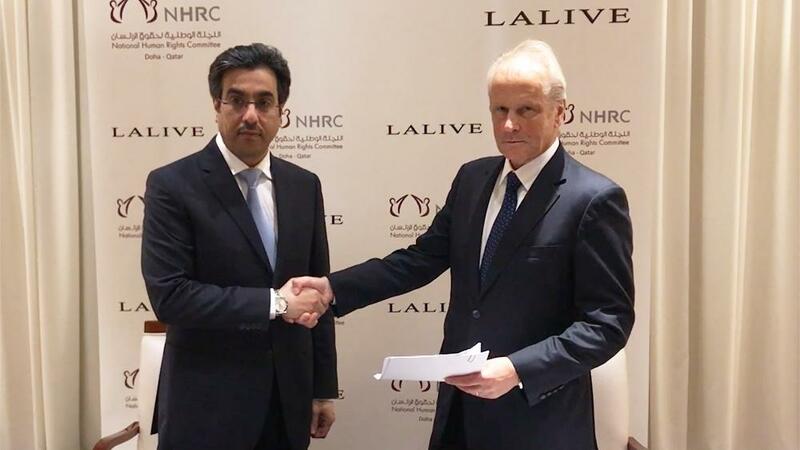 LALIVE, an international law firm based in Geneva and Zurich and renowned for its expertise in international disputes, has been appointed by the Qatar National Committee for Human Rights (QNHRC) to provide representation in the claims to be pursued by private parties against the Kingdom of Saudi Arabia, the United Arab Emirates and Bahrain, following the sanctions imposed on 5 June 2017 against the State of Qatar and its nationals. The sanctions have resulted in the closure of sea, land and air routes, the suspension of trade, the expulsion of Qatari diplomats, and Qatari citizens being ordered to leave the three States within a period of fourteen days. LALIVE’s team will be led by partners specialising in international claims, international arbitration and human rights law, including Dr Veijo Heiskanen, an international claims specialist and co-Chair of the firm’s Arbitration Practice Group, Michael E. Schneider, founding partner and Vice President of UNCITRAL, Matthias Scherer, co-Chair of the firm’s Arbitration Practice Group and Domitille Baizeau, arbitration partner and co-Managing Partner, as well as the firm’s litigation partners. In a statement made to the international press when signing the contract with QNHRC, Heiskanen noted that the sanctions imposed on Qatar are not in accordance with international law since they target ordinary Qatari nationals, companies and other private entities that are not part of the State and cannot be targeted. A political dispute between States cannot justify sanctions against private parties, and the QNHRC is therefore justified to pursue these claims. The firm will be working very closely with the QNHRC over the coming days and weeks to proceed as quickly as possible to determine the right course of action with respect to the claims already submitted and those to come. LALIVE has extensive experience in dealing with international claims. Over the last thirty years, it has been involved in numerous international claims proceedings, including those arising out of World War II, the first Gulf War, the Iranian Islamic Revolution and conflicts in the Balkans and Africa. Dr Veijo Heiskanen formerly acted as legal adviser to the President of the Iran-United States Claims Tribunal, as Deputy Chief of the Legal Service of the United Nations Compensation Commission, as Secretary-General of the Claims Resolution Tribunal for Dormant Accounts and President of the UN Claims Commission for Kosovo.